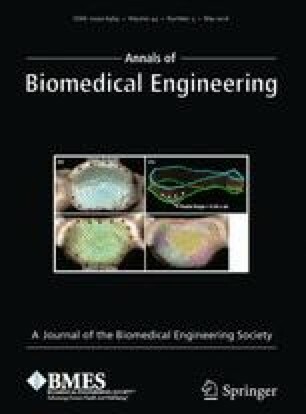 Cartilage tissue engineering is a multifactorial problem requiring a wide range of material property requirements from provision of biological cues to facilitation of mechanical support in load-bearing diarthrodial joints. The study aim was to design, fabricate and characterize a template to promote endogenous cell recruitment for enhanced cartilage repair. A polylactic acid poly-ε-caprolactone (PLCL) support structure was fabricated using laser micromachining technology and thermal crimping to create a functionally-graded open pore network scaffold with a compressive modulus of 9.98 ± 1.41 MPa and a compressive stress at 50% strain of 8.59 ± 1.35 MPa. In parallel, rabbit mesenchymal stem cells were isolated and their growth characteristics, morphology and multipotency confirmed. Sterilization had no effect on construct chemical structure and cellular compatibility was confirmed. After four weeks implantation in an osteochondral defect in a rabbit model to assess biocompatibility, there was no evidence of inflammation or giant cells. Moreover, acellular constructs performed better than cell-seeded constructs with endogenous progenitor cells homing through microtunnels, differentiating to form neo-cartilage and strengthening integration with native tissue. These results suggest, albeit at an early stage of repair, that by modulating the architecture of a macroporous scaffold, pre-seeding with MSCs is not necessary for hyaline cartilage repair. Associate Editor Michael Detamore oversaw the review of this article. The online version of this article (doi: 10.1007/s10439-015-1473-6) contains supplementary material, which is available to authorized users. The authors would like to acknowledge the help of Ms. Teresa Jungwirth, Regenerative Medicine Institute, NUI Galway and Dr. Declan Devine, Athlone Institute of Technology for his help with differential scanning calorimetry. The authors acknowledge the facilities and technical assistance of the Dr. Cathal O’Flaharta at the NCBES Preclinical Facility Core, National University of Ireland Galway. The research leading to these results has received funding from the European Union’s 7th Framework Programme under Grant Agreement No. HEALTH-2007-B-223298 (PurStem), Science Foundation Ireland (Grant Number 09/SRC/B1794), Wellcome Trust Biomedical Vacation Scholarships Grant Number WTD004448 and the Irish Government’s Programme for Research in Third Level Institutions, Cycles 4 and 5, National Development Plan 2007–2013. All authors report no conflict of interest for this work.